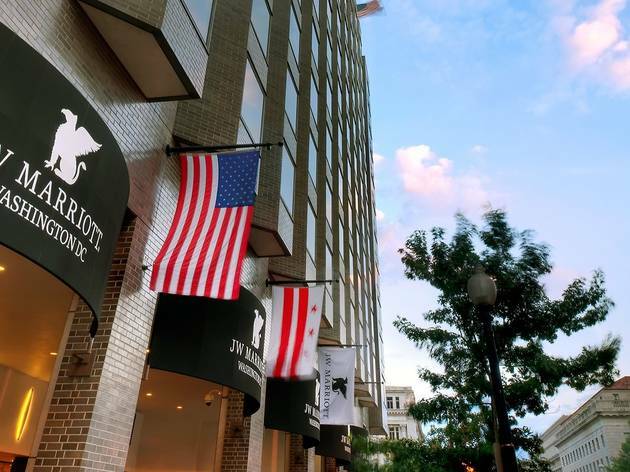 Located on Pennsylvania Avenue near the White House, National Mall and the theaters, the JW Marriott sits on a prime location. 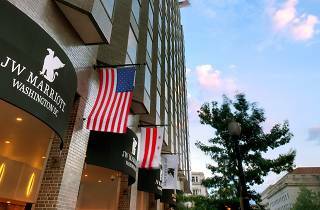 For a view of the Washington Monument ask for a room facing Pennsylvania Avenue between the third and 15th floors. Those on the seventh and 12th floors have balconies as well. Beyond the fantastic real estate, the hotel recently underwent a $40-million renovation that provided several technological upgrades including a plug-in panel that lets guests split the TV screen so they can check email and watch TV.